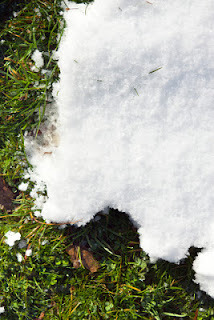 Snow can damage your lawn as it shuts out light and causes the leaves to yellow. It also prevents air circulation and the drying effect of the wind. Result: there is a lot more moisture to be absorbed and the lawn is more susceptible to fungal disease. Spiking and aerating in earlier months will have had a beneficial effect and indeed, spiking can be done as the snow clears if the ground is not too frozen. Treatment with some high potassium (K) fertiliser will help. There is of course the possibility you will have to mow the lawn if December has proved to be very mild and a very final cut is needed. Keep the mower on the higher setting. Time to clean up the mower and put it away or get the garden tractor serviced if you didn’t book it in last month. Leather jackets, crane fly or daddy long legs larva feed on grass roots just below the soil. They also attract moles and you may notice increased bird activity. You can deal with this in a snowless December by applying a pesticide and there are organic treatments if that is your preferred route. Be careful that your lawn is not too wet before aerating though. It has been an awful year so far for rain and many lawns are just saturated. if yours is pond, just let it dry out in the spring before trying to aerate it. A spring spiking combined with a fertilisation will also work wonders! What is the best treatment for a lawn, after scarifying and aerating in the spring? These are some great tips. It is never too early to start preparing for the snow to melt. It will come sooner than you think.